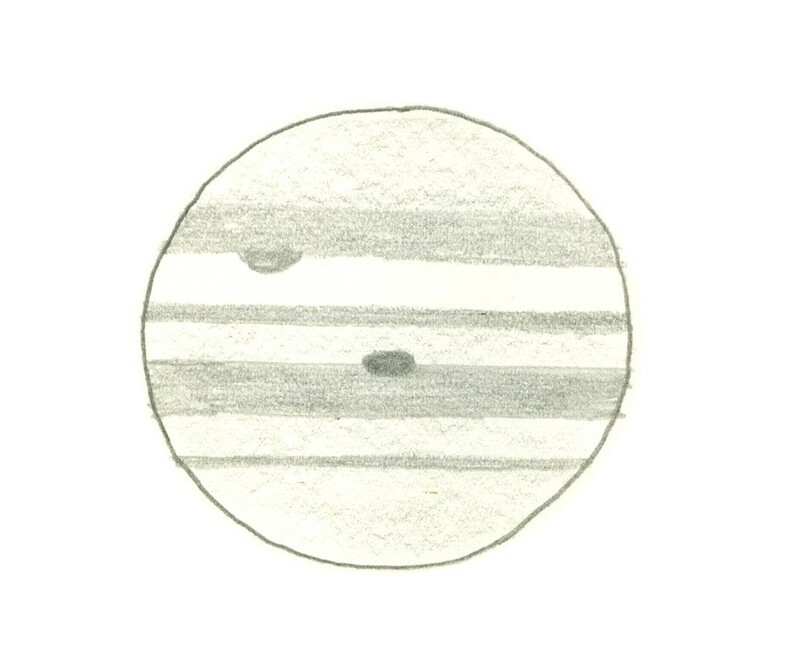 Jupiter on 1960 July 14/15 at 21:34+7m PST (05:34 UT) as sketched by Jim Low. C.M. (1) 32º, C.M. (2) 137º. 4" reflector at 130x, 167x. Seeing 4/10. Transparency 4+/5. North is down.